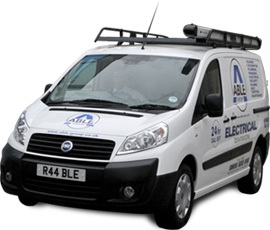 For all electrical inspections Able Electric engineers carry the latest in electrical testing equipment so we can carry the job in hand out safely and efficiently. All businesses by law need to have periodical electrical safety inspections. We can provide qualified electricians wherever you are in the UK for portable appliance testing and electrical safety certificates. Our 24 hour free phone customer support service will provide free quotes and estimates for all electrical inspections however large or small.